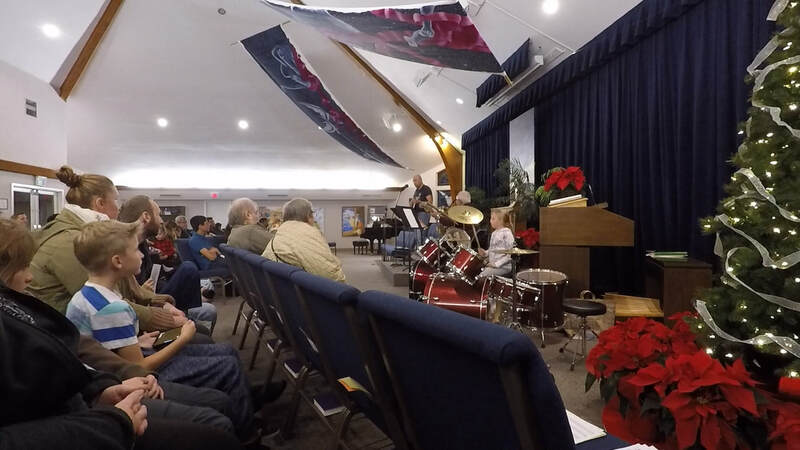 The Band is an ensemble designed for middle and high school wind and percussion students who demonstrate playing ability at the intermediate and advanced levels. No previous band experience is required. This ensemble emphasizes music reading and ensemble skills. Ensembles are intended for students with intermediate through advanced level wind, percussion and voice students. Repertoire includes original and arranged works for winds. This ensemble emphasizes music reading and ensemble skills, as well. Band Leader Mr Mnjoyan is a two time award winner of the Soviet Union Stage Performers’ Competition has been performing professionally throughout Europe, Africa and the Middle East for more than 30 years. More than 20 years ago, this former Music Director and Band Leader began his career in education teaching advanced Bass Guitar to graduate students in his native country of Armenia. Band ensembles are 1 hour long. I've always wanted to play in a band. I started out with Guitar lessons and now am part of a band. We have fun playing together. Mr. Mnjoyan is a fun teacher!! !